Jeffrey Gaffney, Carrie J. Christiansen, Shakeel S. Dalal, Alexander M. Mebel and Joseph S. Francisco point out that hydrochlorofluorocarbons (HCFCs) emerged as CFC replacements because they do not damage the ozone layer. However, studies later suggested the need for a replacement for the replacements, showing that HCFCs act like super greenhouse gases, 4,500 times more potent than carbon dioxide. 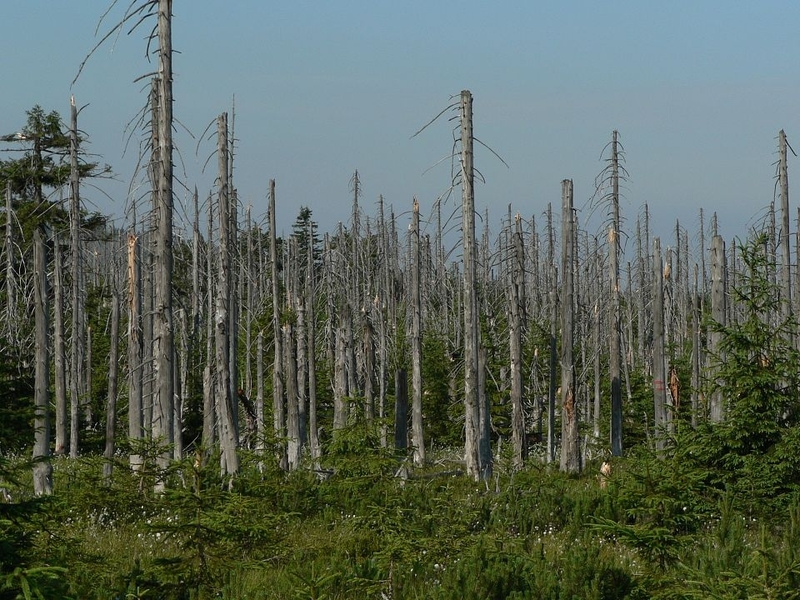 The new study adds to those concerns, raising the possibility that HCFCs may break down in the atmosphere to form oxalic acid, one of the culprits in acid rain. They used a computer model to show how HCFCs could form oxalic acid via a series of chemical reactions high in the atmosphere. The model, they suggest, could have broader uses in helping to determine whether replacements for the replacements are as eco-friendly as they appear before manufacturers spend billions of dollars in marketing them. protect the Earth’s ozone layer.